It's been nearly four months since the W3C held the most controversial vote in its decades-long history of standards-setting: a vote where accessibility groups, security experts, browser startups, public interest groups, human rights groups, archivists, research institutions and other worthies went up against trillions of dollars' worth of corporate muscle: the world's largest electronics, web, and content companies in a battle for the soul of the open web. These deep-pocketed companies are faced with a conundrum. The new version of HTML5 eliminates the APIs that have historically supported DRM systems like Flash, and DRM companies are (unsurprisingly) aggressive about filing broad patents on their technology, and that makes supporting DRM on the present-day web into an expensive and complex nightmare. Enter the W3C. After several large entertainment industry members signed on, the W3C took on a new kind of project -- now nearly four years old -- to standardize DRM, giving the participants the advantage of its patent pooling user agreement, without any risk of pesky anti-trust enforcement. 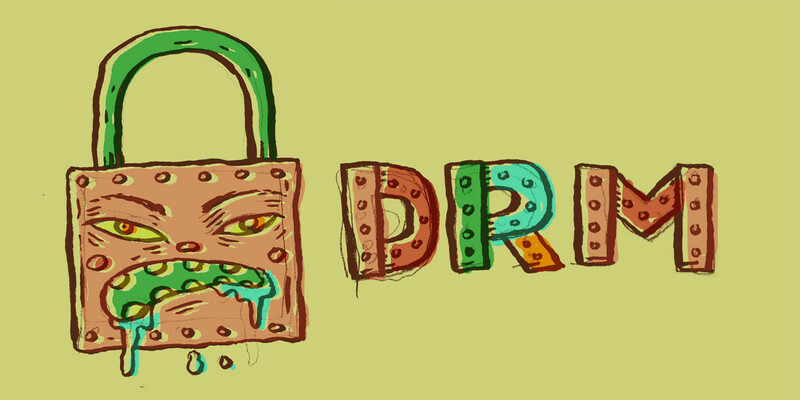 DRM is widely hated: it takes away all the user's rights in copyright, letting corporations decide which of your legal rights you get to exercise. What's less well understood is all the "unintended consequences" of DRM: because laws like section 1201 of the DMCA make it a felony to bypass DRM, people who want to do totally legit things with web technology are legally out of luck: that includes security researchers who want to warn billions of web users about defects in their browsers; accessibility workers who want to use computers to add assistive information to millions of hours of videos; archivists who want to preserve DRM-locked materials; and innovators who want to make web video better. EFF proposed a simple compromise: extend the W3C's existing membership agreement (whose patent rules make DRM possible in the first place) so that W3C members couldn't sue people for bypassing DRM unless there was also some kind of copyright violation or other illegal act in the mix. The DRM advocates at W3C rejected this. After a perfunctory discussion, they walked away from the negotiations and proceeded to ignore anyone at W3C or on the web who disliked the idea of corporations getting to boss around librarians, accessibility workers, security researchers and innovators. The final vote was more controversial than any in W3C history. As the months ticked by afterward without a decision from W3C Director Tim Berners-Lee, one W3C member proposed an even more modest compromise: a promise by W3C members not to sue security researchers who revealed defects in DRM that exposed users to privacy breaches. This was immediately rejected by Netflix and the CEO of the W3C and all discussion on it halted. Now we have the ruling: Berners-Lee has overruled every objection, or declared them to have been met, or declared them to be out of scope. The web will get standardized DRM for videos, and new startups who want to follow in Firefox's footsteps or Netflix's footsteps, or Comcast's footsteps, or iTunes's footsteps will be frozen out of the standardized web-video world. There's a possibility of appealing Berners-Lee's decision. It's never been invoked successfully. EFF is considering its options. On the question of accessibility, the W3C has simply ignored the substantial formal and informal objections raised by its members, including members with deep expertise in accessibility, such as Vision Australia, Media Access Australia, Benetech, and the RNIB. These organizations pointed out that having a place for assistive data was nice, but to make video accessible, it was necessary to use computers to generate that data. It's great to say that if you know where all the strobe effects are in 10,000,000 hours of videos, you could add warnings to the timelines of those videos to help people with photosensitive epilepsy. But unless you have an unimaginable army of people who can watch all that video, the practical way to find all those strobes is to feed the video to a computer, after bypassing the DRM. Otherwise, most video will never, ever be made safe for people with photosensitive epilepsy. Multiply that by the unimaginable armies of people needed to write subtitles, translate audio, and generate descriptive audio tracks, and you've exceeded the entire human race's video-annotating capacity several times over—but barely scratched the surface of what computers can (and will be able to) do.